Levolor wood blinds offer a decorative alternative to flat window shades or curtains. Window blinds contain slats that can be turned 180 degrees to allow light to shine through a window or to completely block light and promote privacy. Levolor blinds can be adjusted to window length by removing a number of slats from the bottom of the blinds. Using a few simple tools, you can remove slats to shorten blind length and tailor these stylish blinds to your window size. Using a few simple tools, you can remove slats to shorten blind length. Release the blind cord to extend the blinds completely down. Position slats horizontally using the twist rod. Measure the exact length where you want the blinds to end. Blinds should rest at or slightly above the windowsill. Excess slats will bunch to lie as a stack on the windowsill. 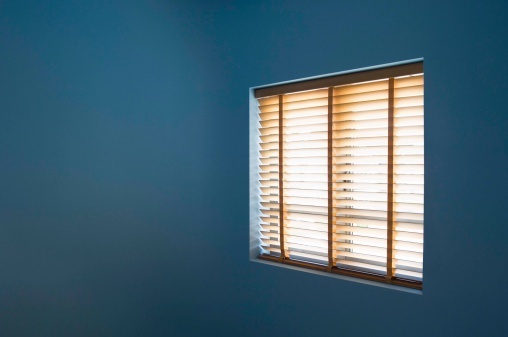 Count the number of slats to be removed but exclude the bottom slat, which acts as a cap slat to provide a finishing aspect to the look of the blinds. Locate the two button caps on the underside of the bottom slat of the blind. Each set of blinds has a left and right button cap that houses the cord mechanism. The cord threads through every slat, allowing the user to twist, raise and lower the blinds. 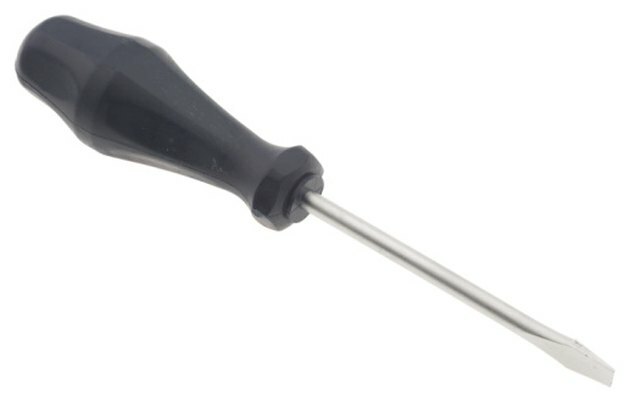 Remove the button cap on the right-side bottom slat of the blind using a flat-head screwdriver or butter knife. Don't lose the button, because you'll need to reinstall it after shortening the blinds. Work on the right side first to prevent a multitude of slats from slipping through the cords. Pull the cord out of the bottom slat of the blinds. Untie the knot at the end of the two cords. Pull the cords through and completely free of the slats you want to remove. Rethread the cord through the bottom slat buttonholes. Retie the knot in the cord, making sure the length of the tied ends allows the bottom slat to lie flat against the windowsill and be spaced similarly to the other slats on the blinds. Cut excess cord length. Your extra slats will be hanging by the left-side cords only. Move to the left side of the blinds and release the button cap on the bottom slat. Untie the knot and remove the slats as you did for the first side. The slats should be completely removed from the blinds at this point. Measure the length of the left-side cords against the right side cords. This ensures level hanging placement of the bottom slat of the blinds. Tie the knot in the cords, cut excess cord and push the thread back into the bottom slat. Pop the button cover back onto the hole on the bottom blind slat.